Like all good blogs about photography, we’ll open with the old cliche, “a picture is worth a thousand words.” While this may be the case, sometimes the photos you take are only met with a few words like “did you mean for the photo to turn out like this?” It’s true, river photography can be difficult, but when you’re on a jet boat tour of Hells Canyon, you’ll want to take photos to share the experience with friends and family. That’s why Killgore Adventures will use roughly 500 words to teach you how to take great river photos. Polarizers are a handy addition to your bag of camera tricks. Polarizers reduce the glare from the photo, helping the most important visual elements, mostly the water, and the rocks underneath it, stand out. It also helps to reduce the glare from wet surfaces like rocks and foliage. If you’re just shooting photos of the water from the river’s edge, you’re not getting the full experience of the river. Bringing a pair of waders allows you to step out into the river or stream and get a unique angle. If you’re taking a jet boat tour, you’re already in the heart of the river, offering you the chance to take some great shots. This may seem contrary to the many lessons you’ve learned about photography, but overcast days are ideal for river photos. That’s because the light from the sun can wash out the colors in your photo, or cause a lot of glare. Fortunately, the immense canyon walls along the Snake River help to shade the jet boats from the sun, as well as your camera lens. The river itself should command the focus of your photo. Including the sky only serves to distract from the river’s features and character. Cutting out the sky not only makes your photo more interesting, but it also makes it appear more intimate as well, highlighting the bends, twists, and waves that run through the river. Relying on one shutter speed may not result in a photo that you like. Instead, take the same photo several times, trying a variety of different shutter speeds to see what effect it creates. Longer shutter speeds result in a sort of smooth, pillowy look to the water, while faster speeds capture more dynamic details, like individual wave trains or splashes. Be aware of where you’re positioning your camera and how you’re holding onto it. The last thing you want to do is to drop your camera into the water. Similarly, if you choose to wade into the water, make sure you’ve got a solid footing so you don’t slip. Not only could you get wet, but you could also hurt yourself. As part of any vacation or jet boat tour, you’ll want to take photos to share with your friends. 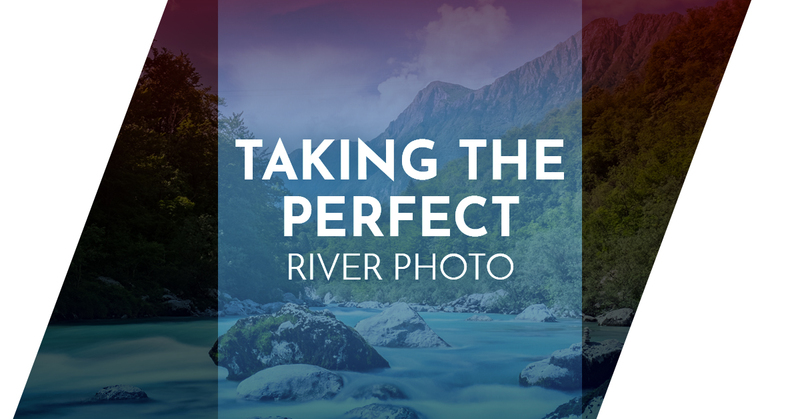 Rather than taking just a bunch of snapshots of water, follow these tips to take some spectacular photos of the river. Hells Canyon has a landscape like none other, making it a paradise for photographers. Experience it in a totally unique way with a jet boat tour from Killgore Adventures. Sign up for your tour today!